The best bathroom vanity cabinets for your home or an interior design project can be found right here, at Home Art Tile Kitchen & Bath. 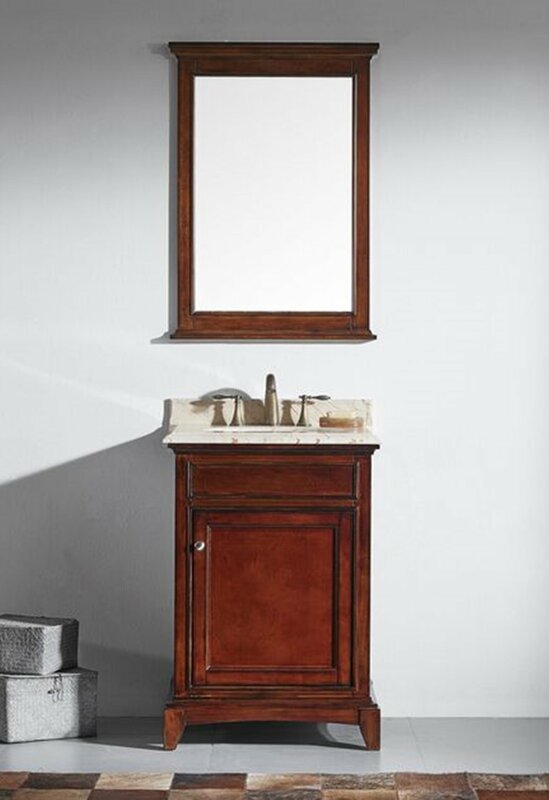 We are one of the largest bathroom vanity cabinets showrooms in NY. Located in Queens and only 5 minutes away from Manhattan, we offer you beautiful bathroom vanities and cabinets that will make your bath functional and enjoyable space. Our bathroom vanity cabinets + your design = gorgeous contemporary home spa. Let’s create a beautiful bathroom together! Browse our bathroom vanities and cabinets collections, contact us for a free estimate, and let us know which vanities do you like best. We will schedule a free design meeting and help you create the bathroom you always wanted. We believe your bathroom should be your haven, a place that you not only use because you need to, but because you enjoy it. Bathroom is a space of relaxation, an oasis that boosts your energy and provides comfort. This is why our designers put their hearts into providing you with the best possible bathroom vanity cabinets. These vanities not only offer enough storage space, but they also meet a wide range of high-end preferences. Whether you fancy contemporary, sleek bathroom vanity sink cabinets, or rustic and luxurious bathroom vanities and cabinet sets, we have the right one for you. Shop attractive, high-quality bathroom vanities and cabinets at rock bottom prices today. Bathroom wall vanity cabinets created by designers at Fine Fixtures deliver contemporary masterpieces inspired by art. 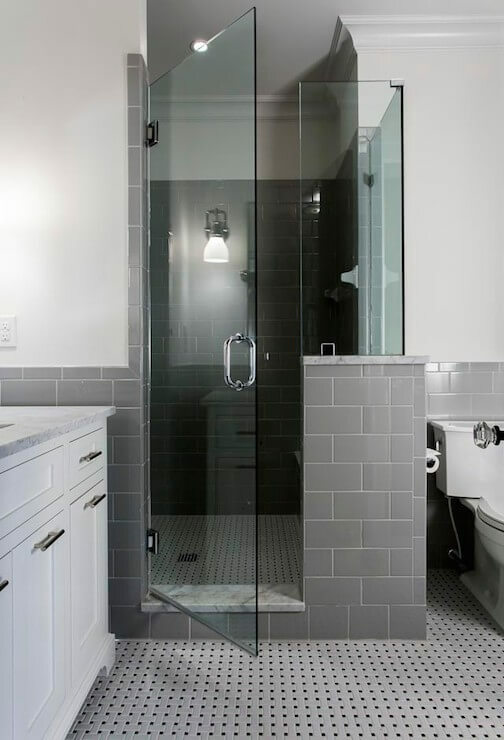 With unique elements that bring the design together, their modern, attractive designs help create sleek, state-of-the-art bathrooms and provide functional storage for your convenience. Chic bathroom vanity sink cabinets from Fine Fixtures Collection come at affordable price points, offering you an appealing design, great durability, and low prices. Eviva provides a wide variety of bathroom vanity cabinets. Offering excellent quality, competitive prices, and modern bathroom vanity cabinets, as well as transitional and traditional style, Eviva Bathroom Vanity Cabinets Collection may be all that you need to make the perfect choice for your home. Besides the kitchen, bathroom is the most important room in any home. This is one of the reasons why it is so important to find the best possible bathroom vanities and cabinet sets. Whether you’re looking for a contemporary twist on baroque furniture, a vanity striking in its simplicity, a corner vanity and perfect space saver, or an innovative vanity made of chrome hardware and glass basin, you will be amazed by what Fresca Bathroom Vanity Cabinets Selection has to offer. From basic to classy and from single to double bathroom vanities, our Dowell Bathroom Vanity Cabinets Selection brings you beautiful and practical choices. With these bathroom vanities, you won’t have to sacrifice durability and exquisite performance for affordability. On the contrary, you can get high-end vanity at a low price. Browse our Dowell selection of vanities and add stylish functionality to any bath remodeling project. If you believe that luxurious, antique looking bathroom vanity cabinets present the best option for your bathroom, browse our Dragonwood Bathroom Vanities Collection. With fair prices, great quality, and astonishing appearance, these bathroom vanities and cabinet sets will easily provide you with very much popular, timeless rustic look. OTTO Home Goods offer pre-assembled and ready to use bathroom vanity cabinets. Their bathroom vanity cabinets are made of a variety of materials like wood and eco-friendly MDF, with soft closing drawers and additional bottom shelves for extra accessories. With appealing and modern styles they create, you can build a shiny white bathroom or a classy, luxurious one. 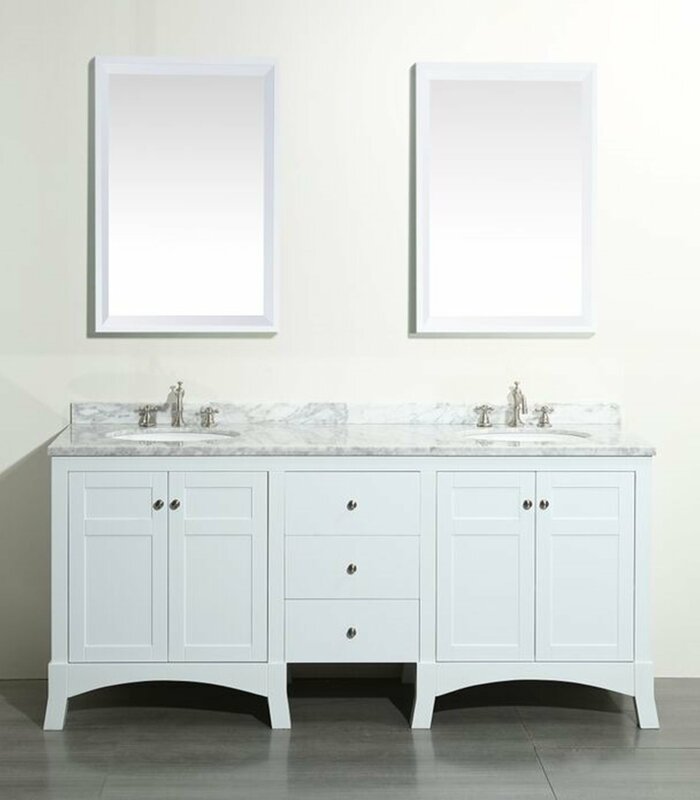 Browse our Otto Home Goods Bathroom Vanity Cabinets Selection and choose a traditional classic with an optional marble countertop or a sleek, frameless medicine cabinet that will help you organize better. Our bathroom vanities and cabinet sets are available in a variety of styles fitting a wide range of decorating themes. You can choose a standard vanity base or have a customized vanity made to match a unique space perfectly. Whether you need an all-in-one set, bathroom vanity cabinet only, bathroom vanity cabinets with tops, bathroom vanity with side cabinet, small bathroom vanity cabinets, a vanity base, sink, faucet and counter top, at Home Art Tile Kitchen & Bath, you can find anything. Usually, the pieces will need to be purchased separately. Here’s what you need to know to make the right choice for your dream bathroom. Vanity Bases come in a number of basic styles, some with shelves and doors, some with drawers and open shelves. The options also include single sink vanities or double sink vanities. Homeowners who prefer traditional style bathroom vanity cabinets may select an antique looking vanity with ornate details, while more modern homeowners can choose a contemporary vanity with clean, sleek lines. You can find bathroom vanities in various materials like solid wood, engineered wood, laminate, and glass. Laminated surfaces can be made to imitate any material including stone and marble. Your choice of material should be complementary to the total look you’re attempting to create. Always consider other elements needed to complete your bathroom vanity, especially consider the countertop, sink, and faucet. Most vanities stand 34.5 to 35 inches tall. For a taller bathroom vanity, you will need to have it custom made. A single vanity will measure about 21.5 to 22 inches deep and be approximately 24 inches at the narrowest to 49 inches at the widest. A double vanity will be the same depth as the single vanity, but the width could range from 60 to 73 inches or more, depending on the space and whether the unit is custom made or not. These dimensions will determine how much the countertops will cost if you’re using an expensive stone countertop. Granite, soapstone, slate, glass, quartz composite, acrylic, concrete, ceramic tile, and wood make up the majority of bathroom vanity countertop materials. Of the natural stones, granite must be treated with an impregnating sealer to resist staining, especially in a bathroom setting. This seal will last from 10 to 15 years. Porous soapstone must be sealed with mineral oil. Slate is the least difficult requiring no seal because of its nonporous nature. Of the countertop materials, natural stone is the most expensive with granite being the costliest buy at $75-$250 a square foot. The least expensive is soapstone ranging from $100-$150 per square foot. Finish off the vanity with the perfect style of sink and faucet. Sinks can be purchased in a variety of different shapes from rectangular, round, oval to square. They can be attached to the vanity base in different ways. Some sinks are under mount sinks. There are also drop-in sinks that are in line with the surface of the vanity and vessel sinks made to sit on top of the base. Pedestal sinks have stands and may have extended surfaces to rest a soap dish or other items. There is the single or double bowl attached sink that is a part of the countertop. The last type represent bathroom wall vanity cabinets or wall mounted sink. This sink is ideal for a very small space, like a powder room, that is not large enough for a vanity. By combining these, you can design the ideal bathroom vanity cabinets for any bathroom, regardless of the space or the décor. From old-world to new age, you can create a look that works for you. Design the vanity with your space and budget in mind, and always keep in mind your storage needs when making your selection. Bathroom vanity cabinets selection from Home Art Tile Kitchen & Bath appeals to all discerning consumers who enjoy great design, appreciate high quality, and search for affordable prices. The search ends here, at Home Art Tile, 35-10 43rd Street, Long Island City, New York. Our designers understand why bathroom is one of the center rooms in any home. Your bath is a room that marks the beginning and the end of each day. It is a place where you get ready for the challenges of the day ahead and the place where you unwind and relax in the evening when the day is over. This makes your bathroom your private sanctuary that should look and perform the best way possible. Our bathroom vanities and cabinets help you create the space you need by pairing durable materials and high quality with cutting edge designs. Each of our upscale bathroom vanities and cabinet sets provides competitive value and unmatched quality. Contact us today or stop by our showroom to start creating your dream bathroom and enjoy it for years to come. Our helpful staff will help you be at ease when choosing bathroom vanity cabinets, faucets, and sinks.